Black Patina wash is sold for antiquing stained glass zinc, brass, and solder...any stained glass supplier sells it. 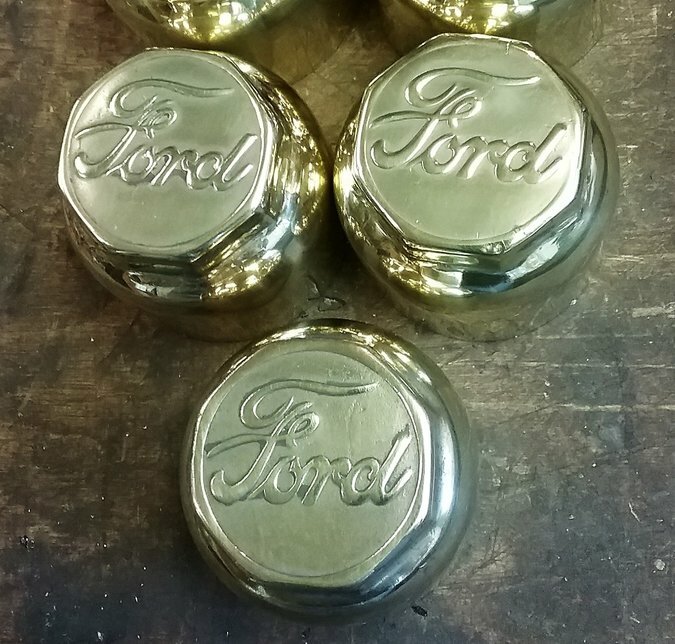 For hi-lighting, such as hub cap script, the solution is applied, dried, then high spots are buffed to create contrast, where the patina coverage is much thinner than covering with paint. I use it for antiquing household brass fixtures. Please post pictures of your process and let us know how it goes. I need to do the same with my restored 1911 hubcaps.